Who isn’t a huge fan of Sherlock Holmes? Most of us love solving mysteries and spying on something that smells fishy, right? Who is a spy? As per Wikipedia: A person who secretly collects and reports information about an enemy or competitor. We have left the old traditional days far behind us where we had to have a secret science lab to create spy stuffs. 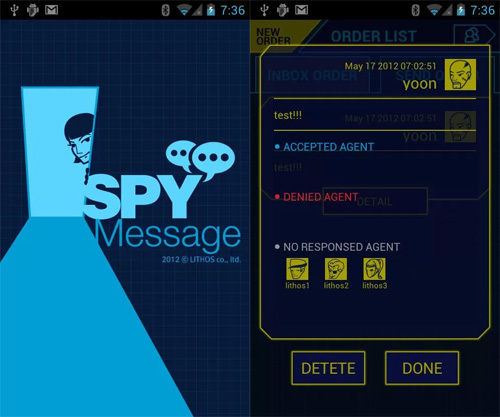 Today, you can easily transform your simple innocent looking android phone into an Ultimate Spy Gear. Here is how you may do it. Have a look! Our list below features some of the more creative uses of smart Android devices like sending secret messages or calls to tracking down locations. Hey but hang on! Do not get carried way and go on imaginary missions like a wannabe spy and get yourself into uncalled trouble. 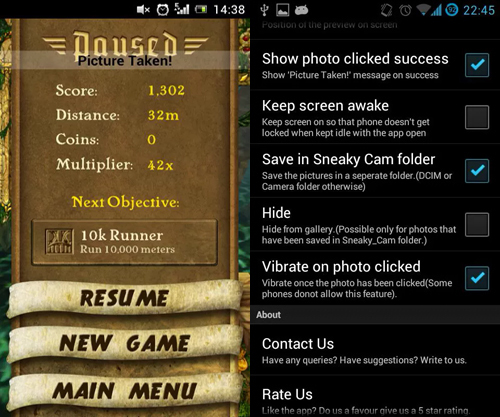 These apps can be used for many legitimate reasons but do not turn you into James Bond getting into fights on top of a train, chasing down bad guys and kicking their butts like Bourne, or wearing amazing disguises and using mind-blowing gadgets like Ethan Hunt. Unfortunately, no! I am sorry to take away your excitement, but never-the-less, these does some good to. Check the apps out. 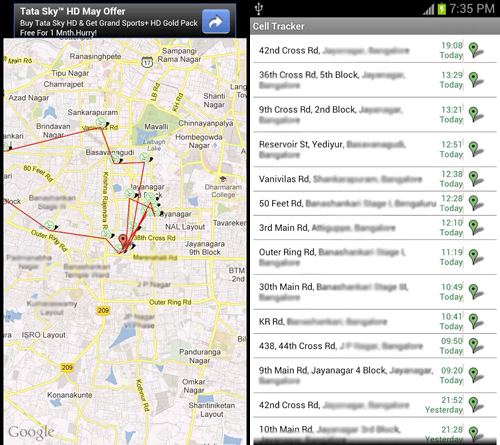 If you have someone you need to track down his/her location, you can do that with Cell Tracker. Give them a company phone, having cell tracker on. It will tack down their location every half hour. Cell Tracker automatically collects the location of the device holder through WiFi/GPRS. All you need to do is to tap on ‘View Now’ to see the list of location the target device had visited. 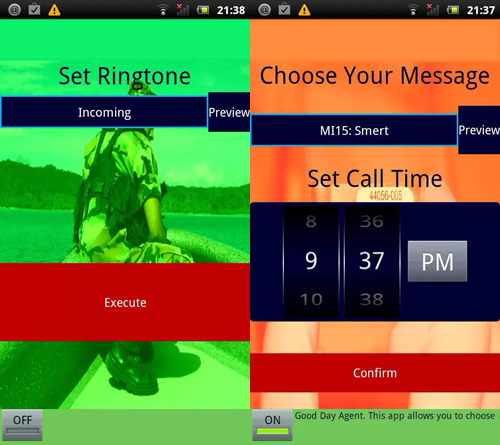 No spy list is complete without the hidden camera app. Activate it then tap on the black screen to grab a fast snapshot without leaving any clue. That’s not it! You may also capture videos. When enter video mode, it will automatically record the feed until you stop it. 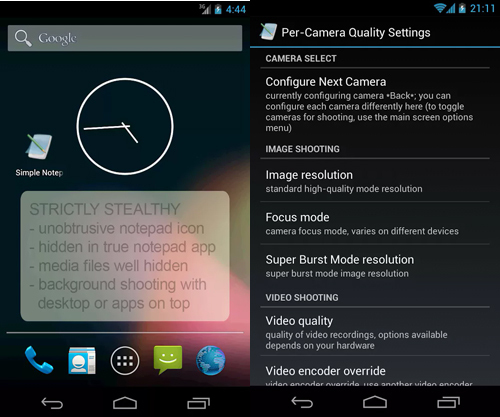 This app also covers a variety of camera features which are easy and user friendly. The outside environment is very much volatile today as crime rate is on top notch. 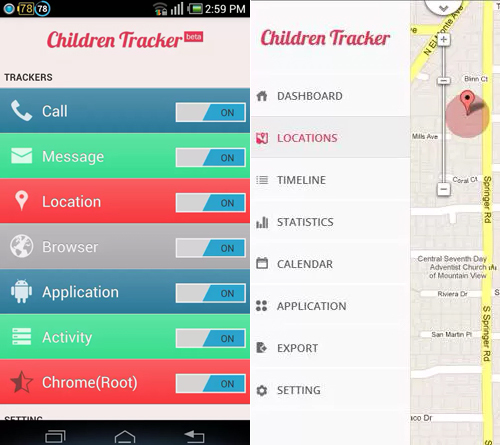 Paranoid or not, if you are not against the idea of tracking your child’s whereabouts (for their safety), Children Tracker is the most ideal option for you. Just install the app to the phone, run it and lock/hide the app then track the phone online. With sneaky cam it will be just like working on something else on your camera. Choose and fix a background of your choice to show when Sneaky Cam is on. You may use your browser or even a shot of a music player as the background. Tap on any part of the screen to start capturing images and chill, no one has to know. Do you want to create a fake call that you want to come to you in certain appropriate time, Secret Agent Fake Call is just right for you. It will call you. You may also pre record conversations, customize messages and schedule your call to come in. Here is an idea, complete the illusion by selecting the secret agent identity you want to be, and use it to prank your friends. 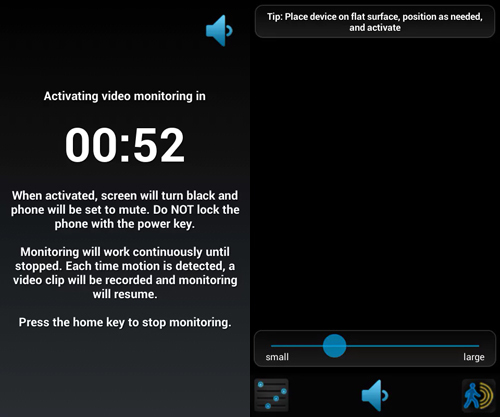 You would definitely want your recording device to be appear turned off to avoid obvious danger. Spy Video Recorder does exactly that along with keeping you updated with before and after pictures of the place you are monitoring especially there is unauthorized movement. If you always wished to send a confidential message to your business partner but doesn’t want it to be kept in his/her phone, spy message is at your service. It allows you to exchange secretive messages and appointments and have the message self-destructed after a configured time frame. WOW! I know! 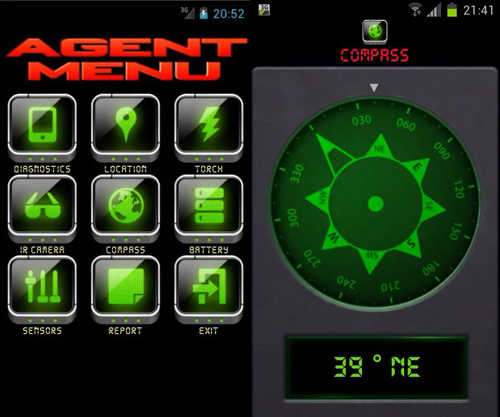 Secret Agent contains useful tools and sensor features for you e.g. a spy torch, a fun (fake) infrared-style camera filter, a compass, a spectrum analyzer, secret audio recording, and sensor data etc, in fact everything you will require for your spy mission.